Kaiser officials said in a news release obtained by Becker’s Hospital Review that its medical school has received preliminary accreditation from the Liaison Committee on Medical Education and will begin accepting applications from prospective students in June 2019 for its inaugural class in summer 2020. Each class will contain roughly 48 students, according to The New York Times. Mark Schuster, MD, PhD, founding dean and CEO of the Pasadena, Calif.-based Kaiser Permanente School of Medicine, told The New York Times that while the institution only plans to cover the entire $55,000-per-year tuition for all of its first five classes of students, Kaiser will offer “very generous financial aid” based on need for future students. Kaiser is the second institution to announce that it will waive tuition for students. Last August, the New York City-based NYU School of Medicine declared plans to cover its entire tuition costs for all students, which equates to more than 400 students across classes. While NYU raised $600 million from donors to pay for its tuition plan, Kaiser is using a portion of its revenue set aside for “community benefits,” which all nonprofit hospitals have to provide to maintain their tax-exempt status, according to The New York Times. The health system, which has an operating revenue of nearly $73 billion, spent $2.3 billion on community benefits in 2017, including charity care for the uninsured and community health spending. The medical school will be one of the only medical schools in the U.S. to be affiliated with a hospital or health system, not a university, The New York Times reports. Its curriculum will include a focus on small-group, case-based learning, and students will travel to the health system’s hospitals and clinics in the greater Los Angeles area for their clinical education. “We’ve had the opportunity to build a medical school from the ground up and have drawn from evidence-based educational approaches to develop a state-of-the-art school on the forefront of medical education, committed to preparing students to provide outstanding patient care in our nation’s complex and evolving healthcare system,” said Dr. Schuster said in a news release. In December, Kaiser added 11 executives to the medical school’s leadership team. About 85 percent of individuals said they would forgo local care and travel one hour based on hospital affiliation with a top-ranked system, a study reveals. Hospital affiliations can influence patient volume, a new study by the Yale Cancer Center shows. The study recently published in the journal Annals of Surgical Oncology revealed that 85 percent of individuals about to receive complex cancer surgery would travel one hour away to receive care at a top-ranked hospital specializing in cancer care. The respondents said they would travel to a top-ranked affiliated hospital rather than go to their local hospital. However, almost one-third of the respondents (31 percent) would change their mind about where to seek care if their local hospital was affiliated with a top-ranked hospital or system. Researchers at Yale Cancer Center explained that the trend in where patients seek care indicated that individuals believe that hospital affiliation with top-rank hospitals means that both hospitals – the top-ranked and affiliate organizations – offer similar quality care. And about one-half of the 1,000 individuals surveyed said that safety and quality of care were identical at both the top=ranked and affiliate hospitals. But the perception that top-ranked hospitals and their affiliates offer the same level of care quality is not necessarily true, researchers warned. “There is no evidence that the care is the same, and no regulation that governs the advertising and marketing of these affiliations,” explained the study’s senior author, Daniel J. Boffa, MD, professor of surgery (thoracic surgery), program leader of the Thoracic Oncology Program at Smilow Cancer Hospital at Yale Cancer Center, and investigator at Yale’s Cancer Outcomes, Public Policy, and Effectiveness Research Center (COPPER). Boffa and his colleagues further investigated how brand-sharing, like hospital affiliations, via the internet impact an individual’s healthcare decision-making process. Researchers asked the over 1,000 individuals about their hospital preferences for complex cancer surgery between large top-ranked organizations and small, local hospitals. 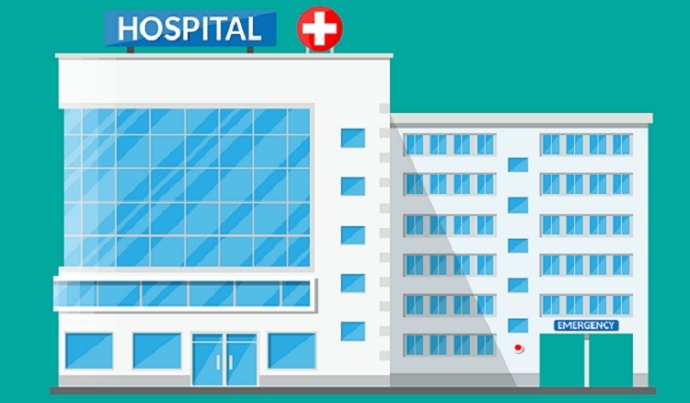 The perception about hospital affiliations could be problematic for the healthcare industry as providers rapidly consolidate. Healthcare organizations announced 115 merger and acquisition transactions in 2017, consulting firm Kaufman Hall reported. And that was the highest number of transactions in recent history, the firm pointed out. 2018 is likely to meet or even exceed the number of healthcare mergers and acquisitions, healthcare experts predict. For example, recent data from Kaufman Hall show 255 healthcare merger and acquisition deals announced in the second quarter of 2018. Many leaders of healthcare organizations engaging in a merger and/or acquisition claim the deal will improve care quality while lowering costs for patients. But Boffa et al. pointed out that care quality may not necessarily be the same across affiliate hospitals, creating confusion among individuals seeking high-quality, low-cost care. “I see these findings as a wake-up call to the medical community to investigate if there are important differences in care between affiliated hospitals and their mother ship, as well as a wake-up call to name brand medical centers to take ownership for outcomes at hospitals that share their names,” Boffa stated. Hospital affiliations, however, do have the potential to increase patient access to high quality care, the researchers elaborated. But stakeholders need to provide patients with quality of care data to help them make informed healthcare decisions.